Ever since I can remember I have been told to floss. I can remember going to the dentist as a kid and after the appointment was over my dentist would always tell me to remember to brush my teeth and floss. And then he would give me a bag with a toothbrush, floss and little toy. That same thing happens when I go to the dentist today, though sadly the toy is not included anymore, he reminds me to floss and gives me some floss to take with me. Im sure many other people have had this same experience. People are told to floss all the time, by their parents, by their dentists, and since 1979, by the government as well. I for one never questioned this advice, mainly because flossing isn’t very hard to begin with, and dentists are smart people, and out of anyone dentists would know what is good for your teeth right? And I’m sure many others blindly followed their dentist advice as well. But in 2015, the Associated Press formally requested the federal government to show them the evidence behind the claim that flossing is beneficial. The reason they asked the government is because, since 1979, the government has been recommending flossing in its dietary guidelines. But anything that the government includes in these guidelines must be backed up by evidence, and this evidence can be made available to anyone who makes a formal request via the freedom of information act. This is exactly what the AP did in 2015, and later in the year when the government releases its dietary guidelines, flossing had been removed as a recommendation. The AP also received a letter from the government stating that there was no research to support the claim that flossing is helpful. But the AP did not stop there, they wanted to find out if there was any evidence at all to support the continuous claims of dentists and health officials that flossing was good for you. To do this the AP conducted a meta analysis of sorts. They looked at 25 studies that compared brushing teeth and brushing teeth with flossing. What they found was that there is no convincing evidence that flossing actually benefits people. The AP did find some studies that showed a benefit to flossing, but the difference between flossing and not flossing was so minuscule that it could not be counted as evidence to support flossing. In spite of this lack of evidence, many dental health organizations continue to assert that flossing is beneficial. One of these organizations, the American Dental Association continues to recommend flossing, and when pressed by the AP about the lack of evidence, a spokesman for the ADA blamed study participants for flossing incorrectly, and thus leading to false conclusions. This situation bears a striking resemblance to the case of Dr. Benjamin Spock and a recommendation in his book, Baby and Child care. In both cases, highly educated and respected people, Dr. Spock and dentists across the country, recommended something that is logical and in theory should be beneficial, laying baby’s on their stomach to sleep and flossing, without throughly testing their recommendations. However in Dr. Spock’s case the results were far more tragic, many babies dies as a result of sleeping on their stomachs, whereas flossing has no known negative affects. So, now that we know that flossing has no proven benefit we can answer the question, is flossing worth it, right? Right, and the answer is that flossing is probably worth it. Even though studies do not prove that flossing is beneficial, what the studies do show is that sometimes flossing can help, even if only a tiny amount. And consider the cost of flossing, it only takes about a minute of your time each day, and a roll of floss costs about a dollar and it cal last for months. So unless you really need that dollar or that extra minute in the morning, flossing costs nothing. 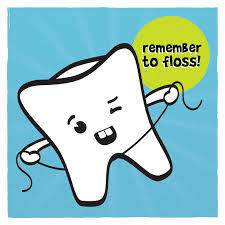 That, coupled with the chance, albeit small, that flossing can help you, means that any rational person should floss. This entry was posted in Uncategorized on October 21, 2016 by Sean Patrick Hickey. which states that they do see a decrease in cavities the more people had flossed, however they have not tested if it was completely effective either! !